Let’s Celebrate Summer…. with National Root Beer Float Day! For those of us living here in the Northeast part of the country, we've only just now hit the mid-point of our summer. Our school calendar doesn't begin until September 1st, but that late start means that our kids are in school until the end of June, and after so many years of this- it just feels like the normal schedule to us. July 4th is practically the kick-off to summer, August 1st is the mid-point, and Labor Day is when it all winds down. Which is why it throws me for a loop when I see far-away friends already sharing their kids back-to-school photos on facebook! Noooooo……! 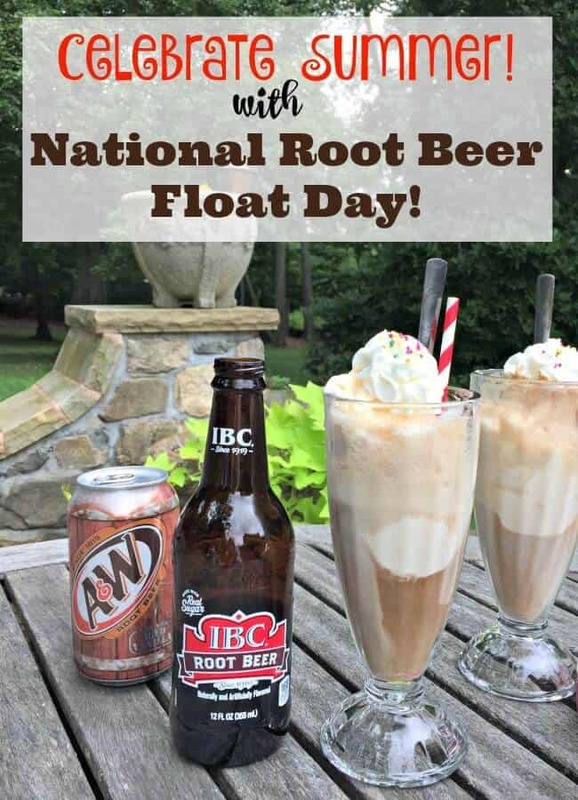 For those of us who are still in the middle of summer vacation- with its long hot days filled with riding bikes, playing games in the pool, shooting hoops in the driveway, and playing badminton in the backyard- it is super fun to have something unique to celebrate at the start of August… which is why I present to you: National Root Beer Float Day! On August 6th we celebrate the beverage that just screams SUMMER! But why do we celebrate one of our favorite beverages in early August? For that let's look at the history of the root beer float, also known as the “Black Cow”. Frank J. Wisner of Cripple Creek, Colorado, gets the credit for inventing the “Black Cow” way back in August of 1893. One night Frank Wisner, owner of the Cripple Creek Cow Mountain Gold Mining Company, was staring out the window and thinking about the line of soda waters that he was producing for the citizens of Cripple Creek when he came upon an idea. The full moon that night that was shining on snow-capped Cow Mountain reminded him of a scoop of vanilla ice cream. He hurried back to his bar and added a scoop to the children’s favorite flavor of soda, Root Beer, tried it, liked it and served it the very next day. It was an immediate hit. Wisner named the new creation, “Black Cow Mountain” but the local children shortened the name to “Black Cow“. The traditional root beer float is made up of a tall glass of cold root beer topped with a few scoops of your favorite vanilla ice cream. Dr Pepper Snapple Group has several fantastic root beers in its product line up, including IBC known for its premium old-fashioned goodness in the distinctive brown bottle, A&W which use its proprietary blend of herbs, bark, spices and berries to achieve its signature taste, and Hires, created by entrepreneurial pharmacist Charles E. Hires who discovered a delicious herbal tea made of roots, berries and herbs while on his honeymoon. But I have to say that at our house we extend the concept of “Root Beer Floats” outside of the realm of simply root beer and ice cream. 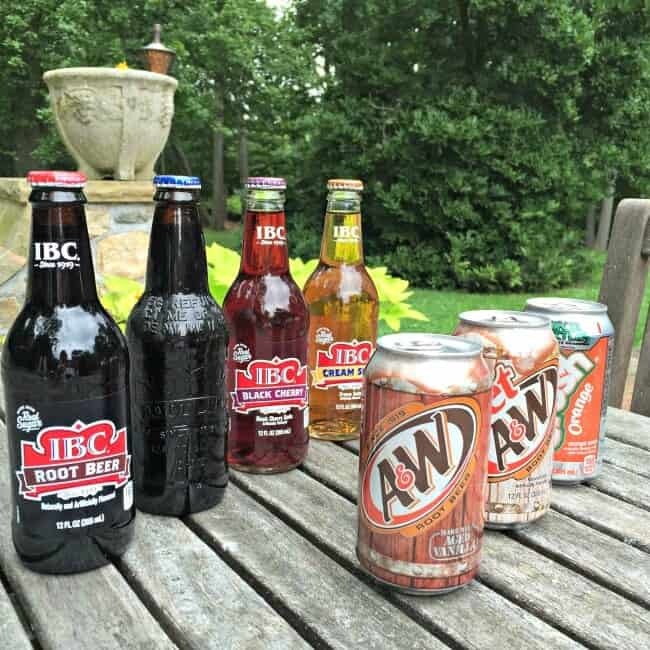 For example, IBC has some amazing flavors such as Black Cherry and Cream Soda which are delicious in a float. And two of my kids swear by the Orange Crush float (another one of Dr Pepper Snapple Group's fantastic brands)! Now when I head to the grocery store, I notice DPS brands everywhere- so many flavors and so many options of regular, reduced, and zero calories! My kids will also tell you that all root beer floats simply must be topped with a generous swirl of whipped cream and a small shake of colored sprinkles! 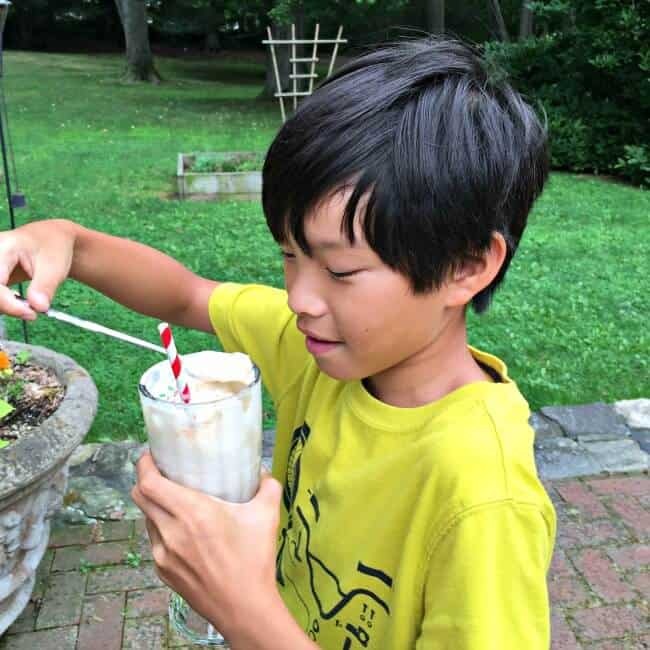 Add a fun paper straw and a tall spoon to scoop out every last bit of root beer float creaminess- and you're all set! 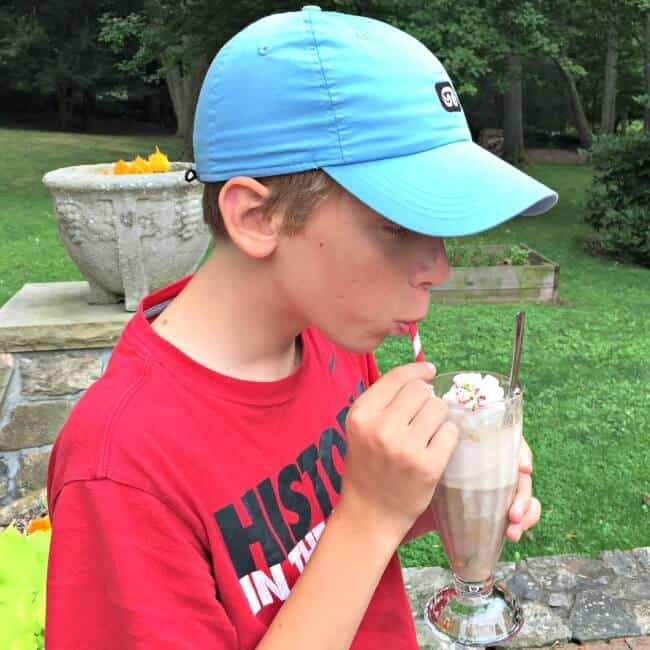 What's your favorite way to enjoy a root beer float? Leave a comment and tell us! Compensation was provided by Dr Pepper/Snapple via MomTrends. The opinions expressed herein are those of the author and are not indicative of the opinions of Dr Pepper/Snapple or Momtrends. « Howe Caverns with Kids! 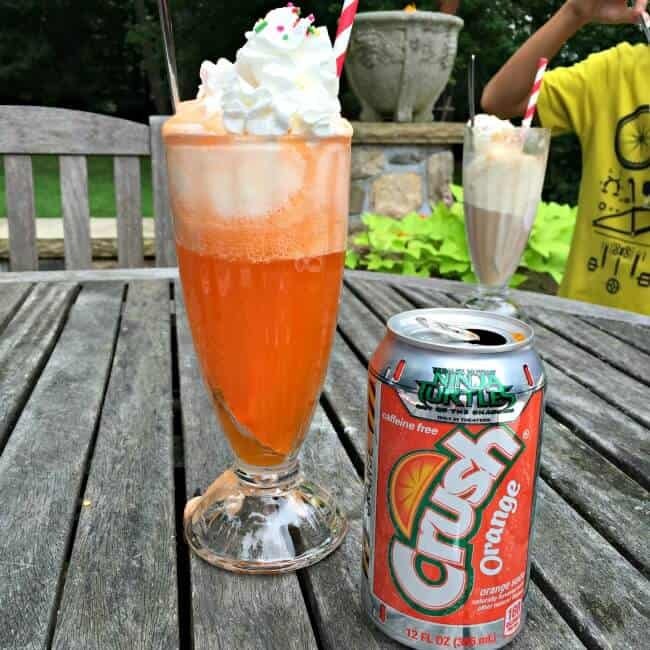 Whoa, Crush float? Not a huge fan of orange soda, yet I’m intrigued by how it may taste! It is SO delish! You gotta try it!